Whenever she designs a bowl, a dish or even a jug, Carrol includes statuesque figures that intertwine and become part of it, celebrating the beauty of the human form as she does so. Her creation is then cast in stainless steel for durability, and finished by hand for individual character. 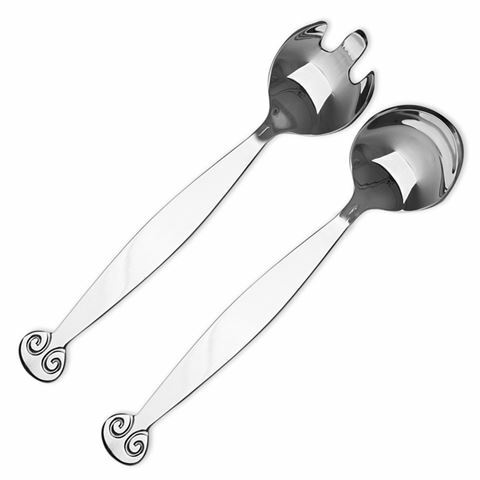 These Classic Salad Servers are timeless pieces, with sumptuously round silhouettes and swirling handles that will complement any table setting for years to come. Cast in 18/8 stainless steel, and then finished by hand. Presented as a two piece set in a Carrol Boyes box.